The process of populating this site continues with an account of two of the families who held the Ardnamurchan Estate through the 18th and 19th centuries, the Murrays and Riddells – link here. 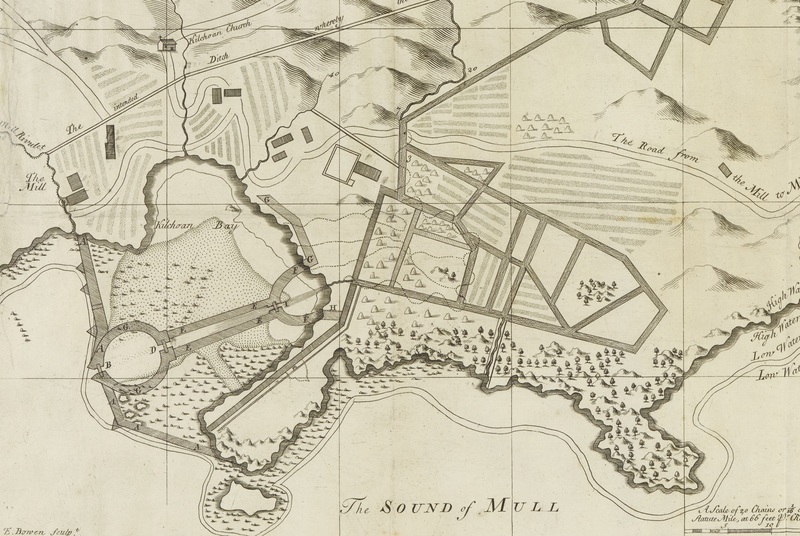 We are particularly pleased in the section on the Murrays to have obtained a high resolution digital copy of a map drawn by John Cowley in 1734, now in the National Library of Scotland. While some of the features it shows may reflect plans which the ‘improver’ Murray had in mind, such as the extensive harbour structures in Kilchoan Bay, much of it shows what existed on the ground at that time, including the houses of Kilchoan and Mingary. The above is an extract. We are very grateful to the staff in the map reading room at the National Library of Scotland, who have given us permission to use the map without charge. Special thanks to AHHA member Penny Horner for arranging this.